WELCOME TO THE TRENTON AREA! As Trenton's top-producing Royal LePage Real Estate Sales Team*, I would like to thank you for the opportunity to compete for your business and to let you know why hiring our Team will provide you with a level of service far beyond what you can expect from the competition. 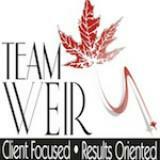 Unlike many other websites that ask for your contact information in exchange for details about a property or real estate topic, we invite you to take advantage of all that the Team Weir site has to offer ... no obligation! Our marketing systems and client service are second to none and are instrumental in how we set ourselves apart from our competition in the Trenton area. As former Military members with approximately 87 years of combined service (much of this at CFB Trenton), we are familiar with the challenges families experience during the moving process. With this in mind, our Team of Real Estate professionals and the value-added services we offer are all designed to let you live your life while we take over the tasks of marketing your home to achieve a quick and rewarding sale. If you are more comfortable working in your first language, a Bilingual Sales Representative will be happy to assist you. Whatever your needs, if you are thinking of buying or selling a home in the TRENTON area, you can trust our Team to minimize the stress to your family. Finally, let me say that 75% of our new business comes from past Real Estate client referrals, while the balance comes from the extensive advertising we do nationwide. Realizing that Team Weir assisted 303 clients and their families in 2016, when the average Trenton agent boasts approximately 14 per year*, you know we must be doing something right. Hire Trenton's top-producing Real Estate Team and let us prove it to you too!